The wonderful diversity of San Francisco is reflected in our drivers, many of whom come from every continent of the world to find a new home and to begin their futures in this great land of opportunity. 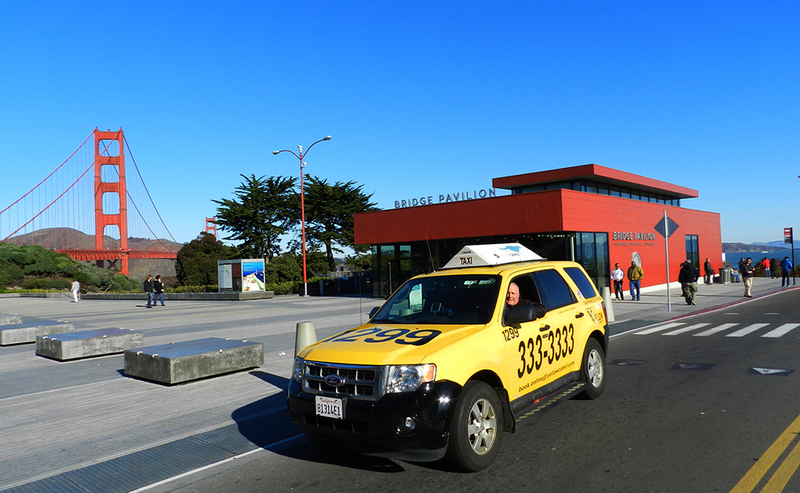 Taxicabs have always played an important role in the communities they service. Not only they benefit the convention and tourism industries but also provide accessible transportation to people with disabilities, subsidized transportation for low-income people, safe late-night transit and convenient, comfortable service to all. 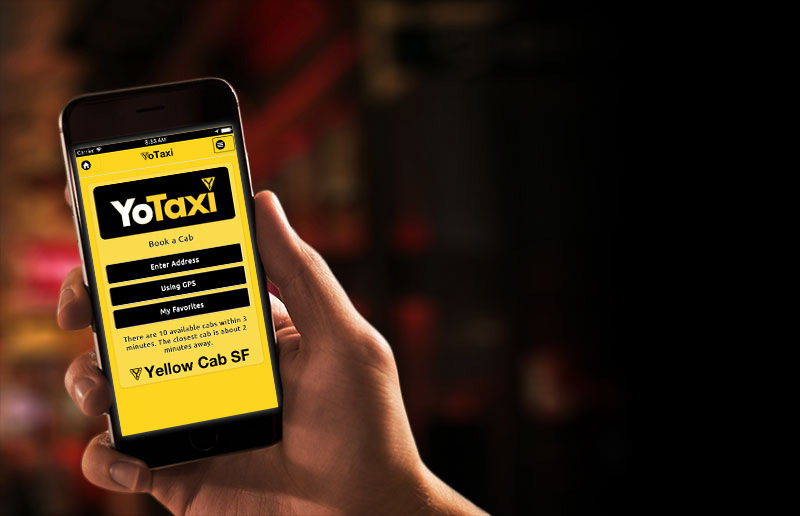 All of us at Yellow Cab are dedicated to improving the quality of life in our community through environmentally sound business decisions, volunteer work, sponsorships and charitable giving to organizations that embody our values. We are proud sponsors of International Asian American Film Festival, Film Arts Festival of Independent Cinema and Jewish Film Festival. To reduce death caused by drunk driving we partnered with Bay Area’s NCADA – National Council on Alcoholism and Other Drug Addictions. Getting “doored” is the number one cause of injury to cyclists in San Francisco. 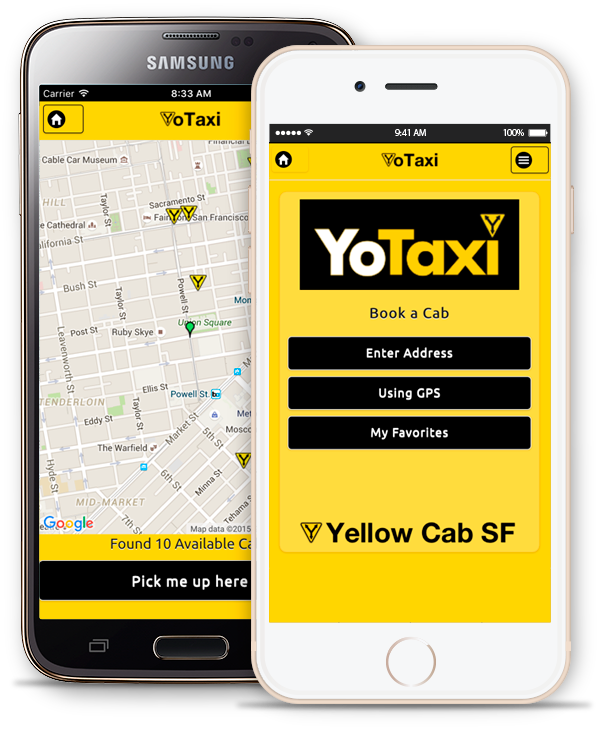 As part of our commitment to improving safety on San Francisco streets we placed warning stickers “Look Before You Leap” in our cabs. The stickers are designed to reduce these injuries by reminding passengers to check for traffic before opening their door. We continuously explore and invest in environmentally sound alternatives. Combines electric power with gas and has near zero emissions. Hybrid technology can dramatically cut air pollution and reduce our dependence on oil, without compromising safety and performance. While idling at a red light or stopped in traffic, the Escape Hybrids engine shuts down at rest to conserve fuel. When the light turns green or traffic moves forward, Escape Hybrids 70-kilowatt traction motor generator can launch the vehicle on clean electric power. When needed, the generator can smoothly start the gasoline engine in less than 400 milliseconds, without the increased emissions produced in starting up a conventional engine. Escape Hybrid also conserves energy in stop-and-go driving by reclaiming energy during braking to charge tis hybrid storage battery to be used later during acceleration. Part of our fleet is operating on alternative fuel, compressed natural gas that burns very cleanly. Natural gas-powered cars are up to 90 percent cleaner than a gasoline-powered car. The dedicated NGV Ford Crown Victoria was the first passenger car in the world to be certified as an ultra-low emission vehicle (ULEV) by the California Air Resources Board. These vehicles produce almost 25% less carbon dioxide (CO2) than the equivalent gasoline vehicle. NGV’s emit very little particulate matter and acid aerosols because there is no sulphur in natural gas. We joined other community organizations in this campaign launched by Governor Schwarzenegger and CalEPA. The statewide campaign is intended to help Californians reduce gasoline use and thereby contribute to a healthy economy and environment and save money in the process.